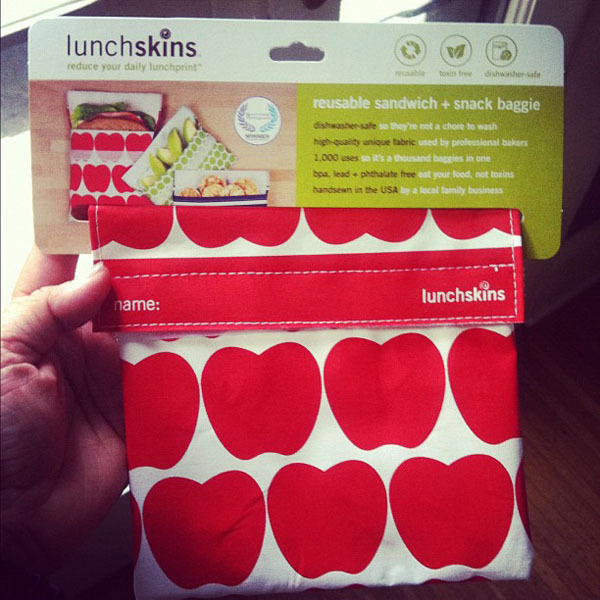 I have been meaning to try some sort of reusable sammich bag. Wegmans was carrying these lunchskins so I picked one up. We'll see how it goes after a week of tucking things into it for Aaron's lunch.